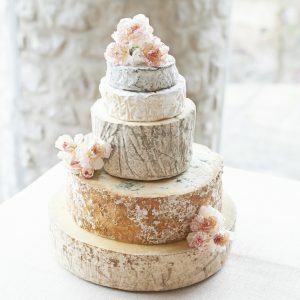 Vegetarian Cheese Wedding Cake – The Courtyard Dairy. 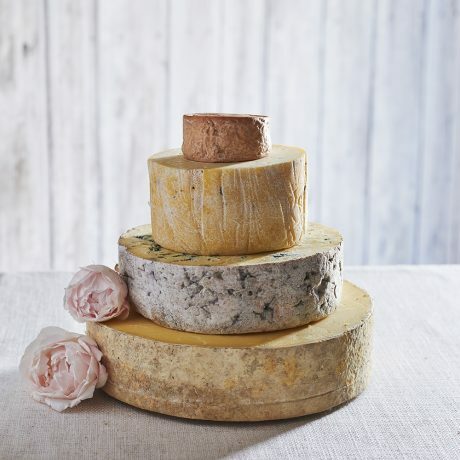 The vegetarian cheese wedding cake is a four tiered tower containing a creamy rich soft cheese, a fresh, light Wensleydale; smooth creamy blue and tangy Yorkshire Cheddar. 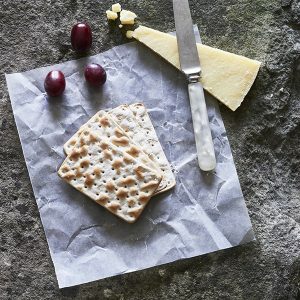 All the cheeses are made with vegetarian rennet. Ideal for 65-95 people, 6.75kg cheese. 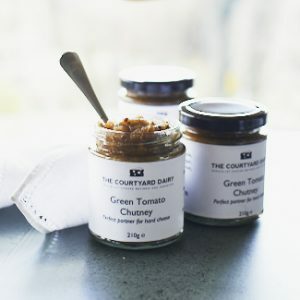 Temperley: soft, gooey and creamy. Pasteurised cows’ milk. 200g. 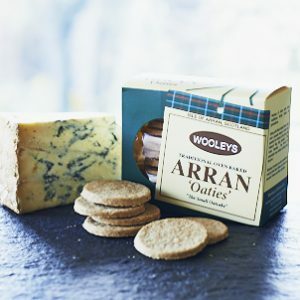 Devon Blue: creamy rich blue. Unpasteurised cows’ milk. 1.5Kg. Dale End Yorkshire Cheddar: tangy. Unpasteurised, cows’ milk, vegetarian, organic. 3.8kg.